The Hydraulic polyp-grab is an equipment made with 3/4/5/6 teeth, all of them with independent and synchronized movements, every one of them is actioned by a oleo-dynamic cylinder. Usually, if not differently specified, polyp grabs have standard on the top the steel lump, all pins are chromated and bushes are in casehardened steel, body and valves are in S355 while bits are made of a wear-resistant material. Hydraulic polyp-grabs can be with horizontal or vertical cylinders and are used for loading and unloading different materials. Three kinds of tines are available: standard (A), thin (B) or with high coverage (C): A-type is more requested because with it grabs are perfect to fit almost all uses, B-type is used for voluminous materials and C-type with its high coverage is perfect for thin materials. Hydraulic polyp-grabs are used for recycling, with them it can be loaded waste, wheels, brushwood, stones, junk, scraps production, skins. Application fields are manifold to satisfy all our clients’ needs, Tecnobenne can provide on requests also special equipment for marine use. 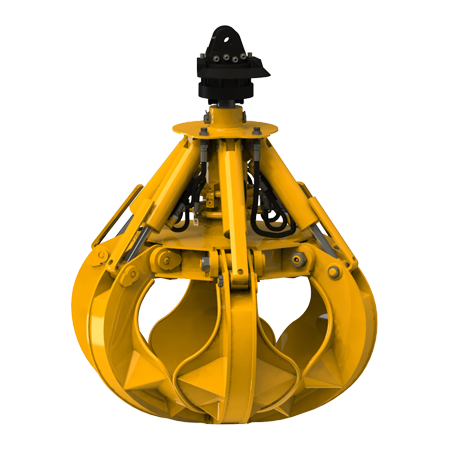 Basically hydraulic polyp grabs are divided in two kinds: with horizontal cylinder and with vertical cylinders. With horizontal cylinders we have : POT, POT S, POT H, POT P, POT M, PLOT, with vertical cylinders we have: PVT, PVT P, PVT M. The last ones are particularly suitable to work in deep spaces, like tanks for example. 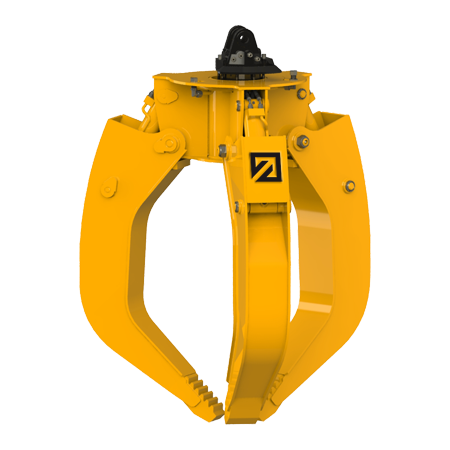 Our hydraulic polyp-grabs are meant for trucks or fixed cranes, Z-collapsible truck cranes, mini telescopic articulated loaders, wheels or crawler excavators, self-propelled excavators. Tecnobenne is at guest disposal! We offer equipment with personalized links suitable to all clients’ needs. Our office is at your disposal to suggest you the best model of polyp-grab depending on the machine that you will use it on. 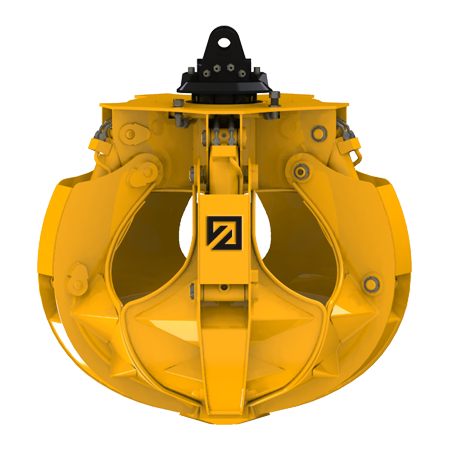 Hydraulic rotator: it’s mounted on the top of the body, or, just for the biggest models, it’s integrated into he body of the polyp grab, it permits an hydraulic 360° rotation. On stock we have them available with shaft or flange. 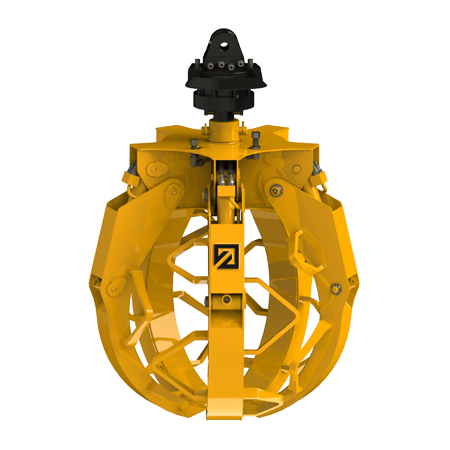 Mechanical rotator: it’s mounted on the top of the body, or, just for the biggest models, it’s integrated into the body of the polyp grab, it permits a mechanical 250° rotation. They are available with shaft or flange on stock. 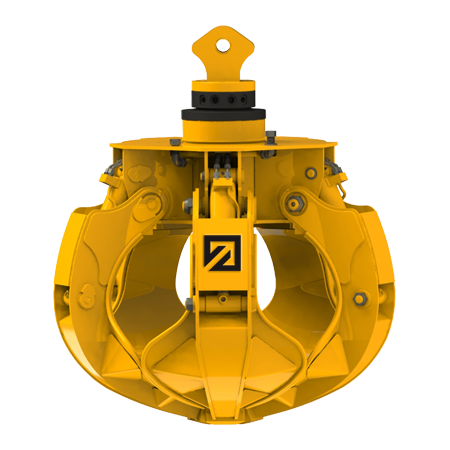 Turntable bearings rotor: hydraulic rotor with a 360° turntable bearings rotation. Hydraulic polyp-grab with horizontal cylinders. 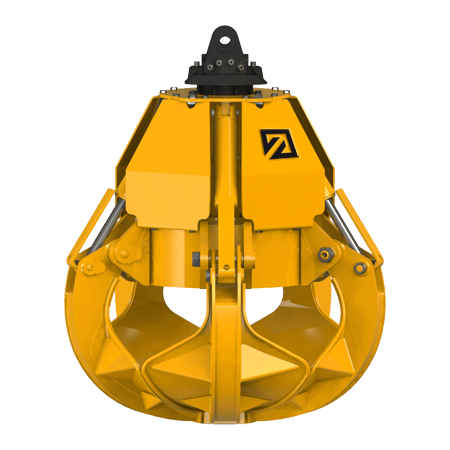 Hydraulic polyp-grab with a great opening capacity. 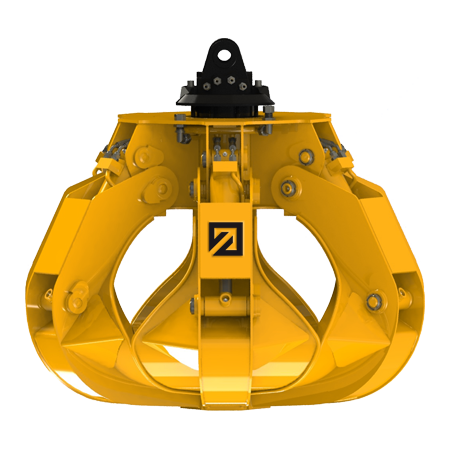 Hydraulic polyp-grab for Z-collapsible truck crane. 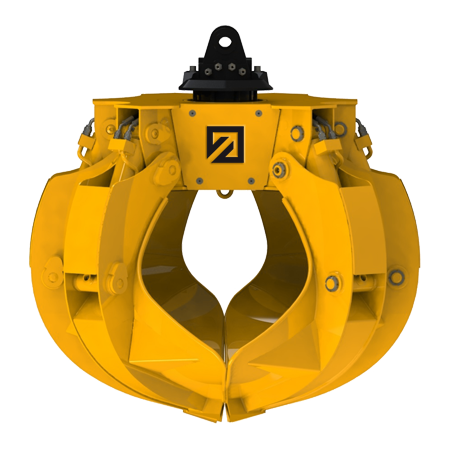 Hydraulic polyp grab for excavators. 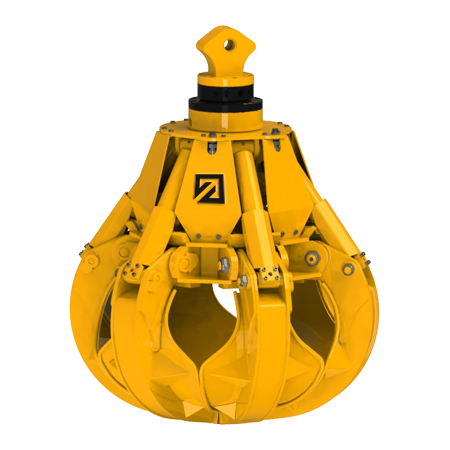 Hydraulic polyp-grab for rocks and stones. Hydraulic polyp-grab with vertical cylinders for waste and junk. Hydraulic polyp-grab with cylinder’s protections. Polyp grab for firewood handling.